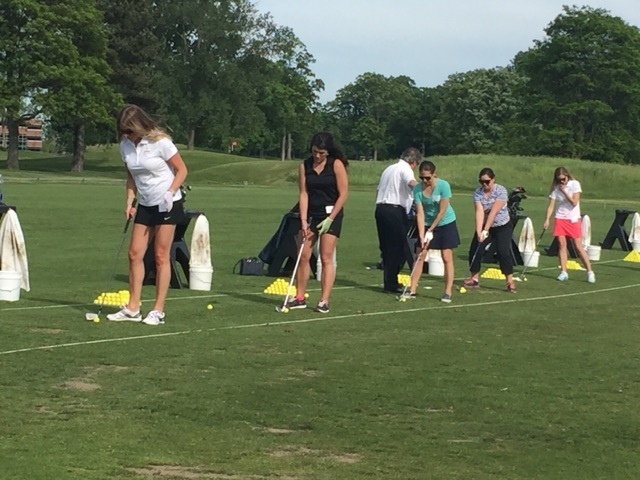 There are 40 spots available for our June Women's Golf Clinic. Held at Fieldstone Golf Club, this event sells out each year. Reserve your spot by registering early. This year we will group by experience level. This is a great opportunity to practice before the Auburn Hills Open! 5:30 pm to 8:00 pm: Instruction - 4 stations of instruction given by 4 PGA Professionals. No Clubs? No Problem! Club rental is complimentary! Let us know that you need clubs by 5pm Monday, June 3rd. Limited quantities available.